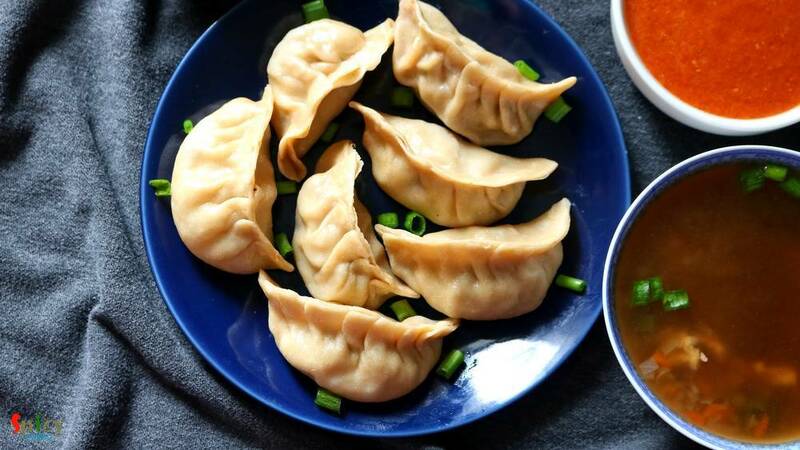 One of the popular Tibetian delicacy is Momo. 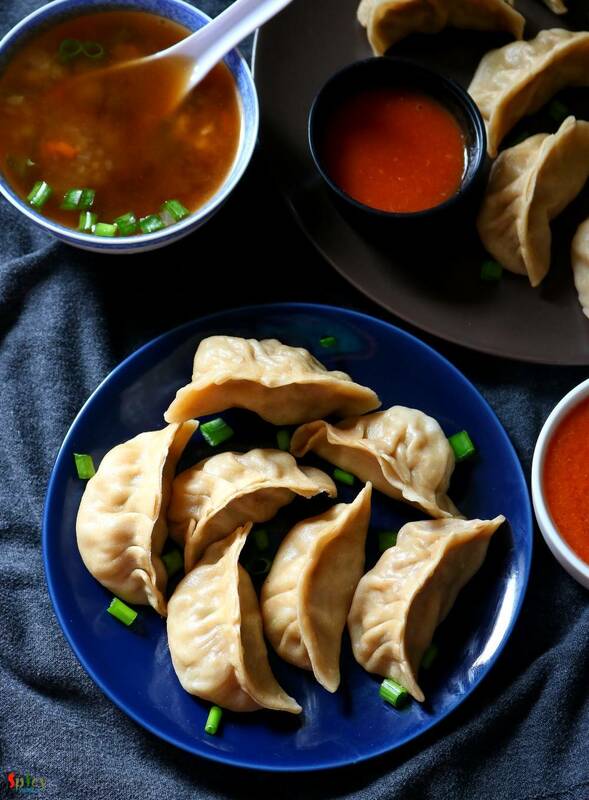 They are very similar to dumplings and now a well known street food across India. 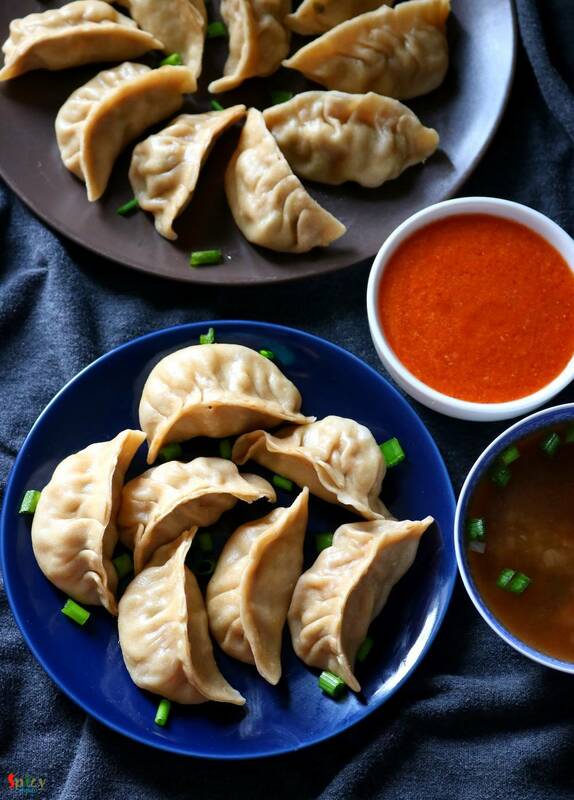 You will get so many varieties from modern MOMO shops like 'MOMO I AM', 'WOW MOMO' etc. 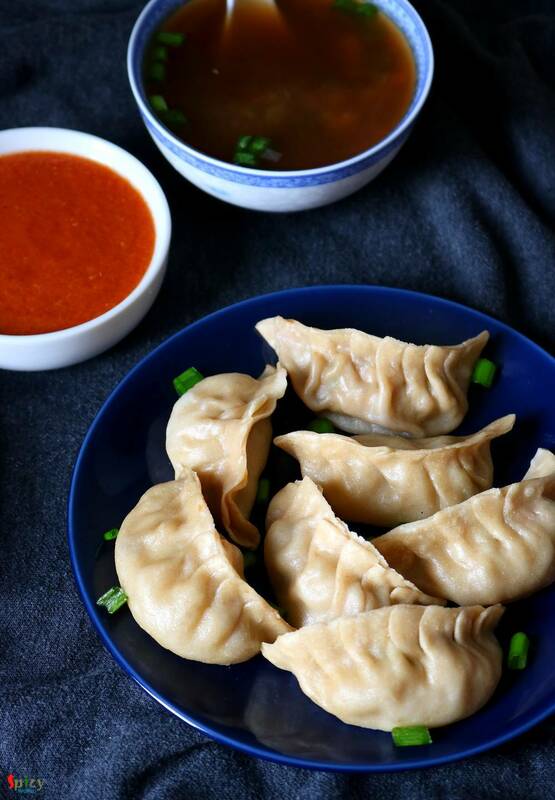 Steamed chicken momos are healthy and tastes more delicious with hot & spicy red chutney. Thin wrapper made out of flour will be filled with tasty ground chicken filling, and then they will be steamed to perfection. You can enjoy them as brunch or snacks. Now is the tricky part. No, don't feel scared, making the pleats is easy. After making 2-3 momos it will appear easier.